Dr. Lapidot graduated his PhD at Prof. Shoseyov’s lab brings more than 10 years of extensive academic research in the field of cellulose, protein engineering and bio-composites. Dr. Lapidot has 2 patents and 8 patents pending. He was awarded the Hebrew University of Jerusalem Kaye Award for innovative research by 2009 and the Barenholz award for applied research by 2011. He holds a PhD from the Hebrew University of Jerusalem, Israel. 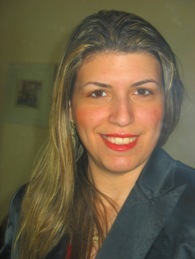 Dr. Azerraf graduated her PhD in Chemistry at the Hebrew University in 2010. During her academic research she has specialized in the fields of organic synthesis, catalysis and organometallic chemistry. She was awarded the Barenholz award for originality and creativity in practical research by 2010, amongst others. She has 6 patents and 9 scientific articles. In 2012 Dr. Azerraf graduated her MBA from Tel Aviv University with specialization in management of Technology.